By popular demand, there will be an extra community drop-in session to discuss the proposed changes to Alexandria streets. 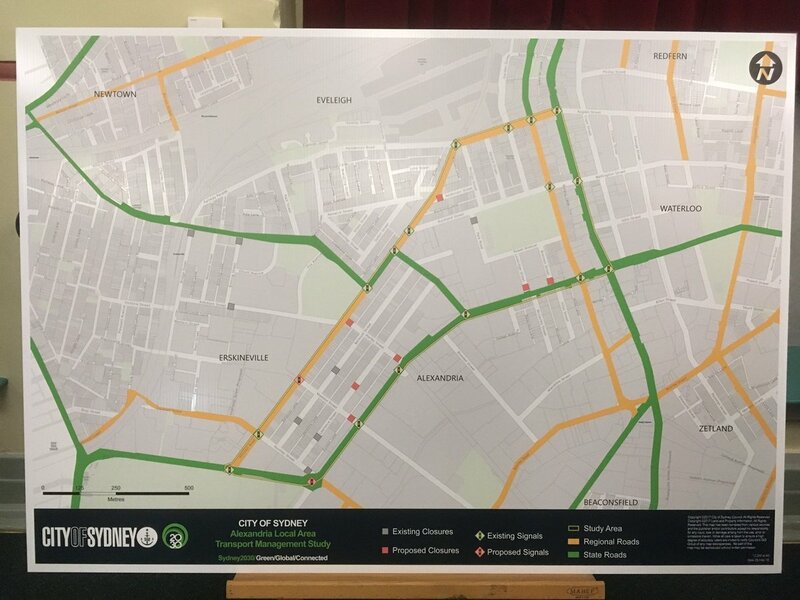 The proposal includes several full and partial road closures, single-lane slow points, extra traffic signals and continuous footpath treatments (*). Thursday is your last best chance to have your questions answered. Comments on the plan close 1 June. For more information, or to have your say, visit sydneyyoursay. (*) continuous footpath treatment means a shared space where pedestrians have right of way over cars. Instead of being a road that pedestrians are allowed to cross, it is a footpath that cars are allowed to cross. Dangerous trucks in Alexandria: what can we do?